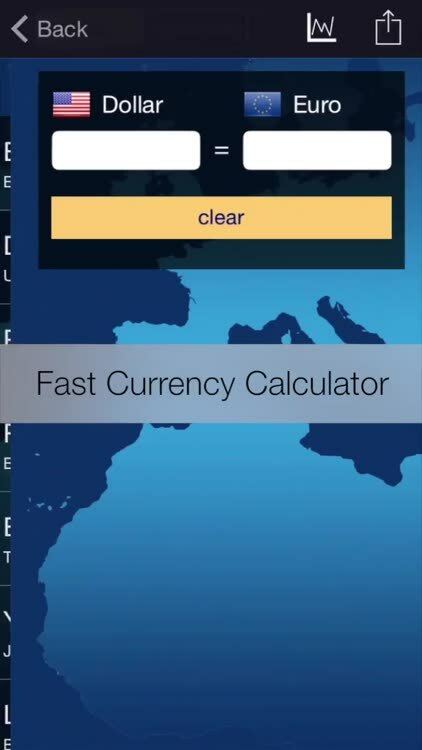 Converting currencies has never been easier! 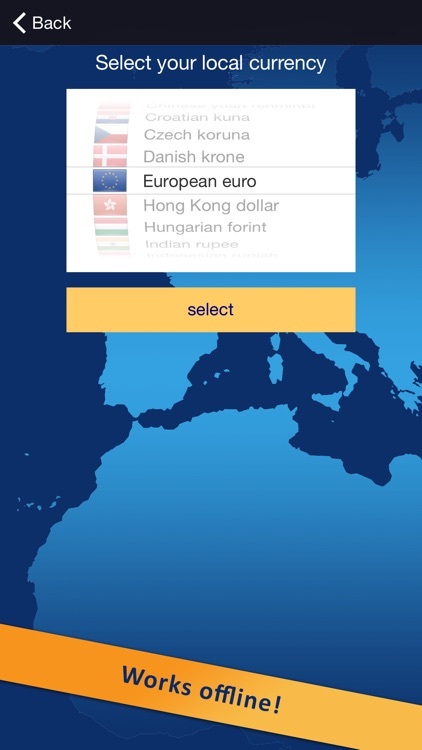 All the popular currencies in the world updated on a daily basis, find currencies from the past three months, even when you are not connected to the internet. 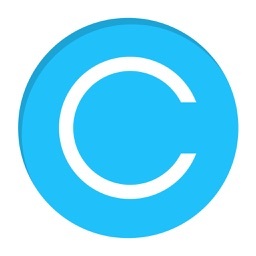 Super-fast currency calculator, just choose the currency you want and type the amount. Rearrange the currencies list in the order you prefer. An historical chart for each currency. 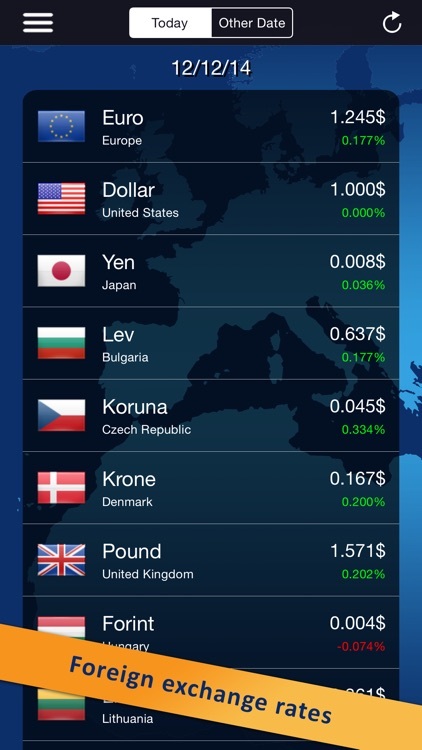 Watch all the currency exchange rates converted to your local currency, for example, you can keep track on the euro exchange rate on a daily basis. All the data is brought to you in a nice clean high-tech design. 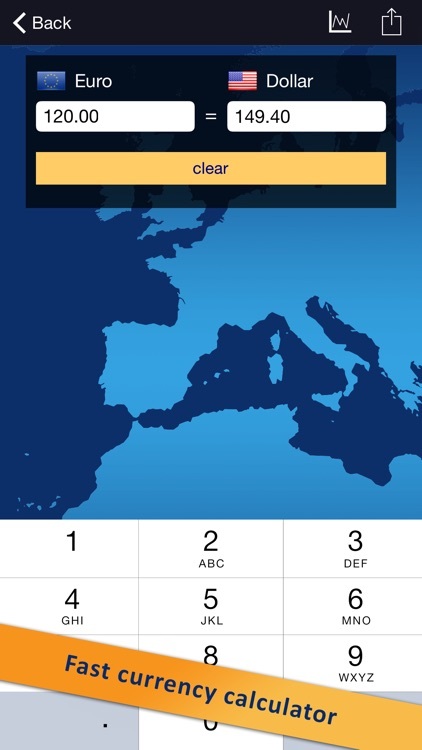 Use this app as an historical currency converter. 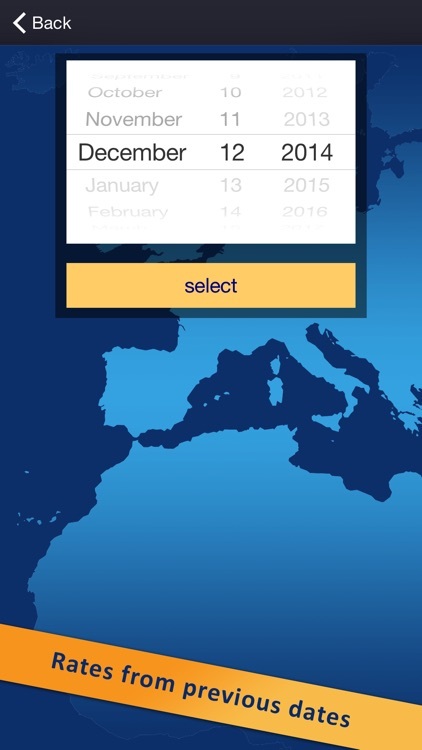 select any date you want from the last there months, and find out the currency in that specific day. 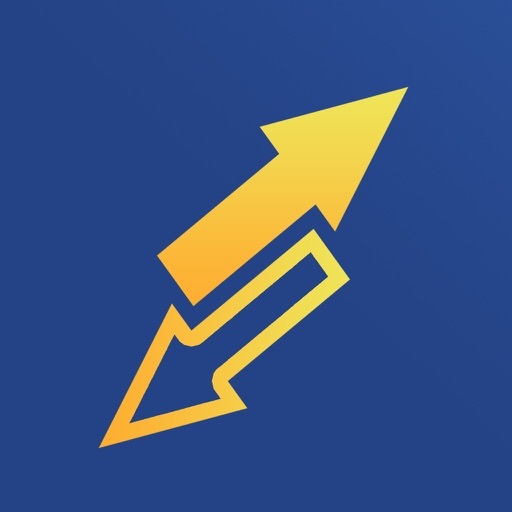 Very useful for business who closed A deal at a certain currency rate. On a click of a finger, type the amount you want to convert and get the result immediately! you can also send the given amount by email or sms. 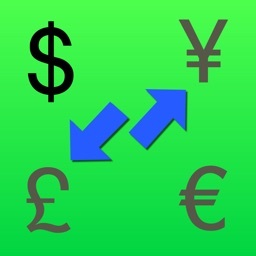 Very useful for travelers as A currency calculator. 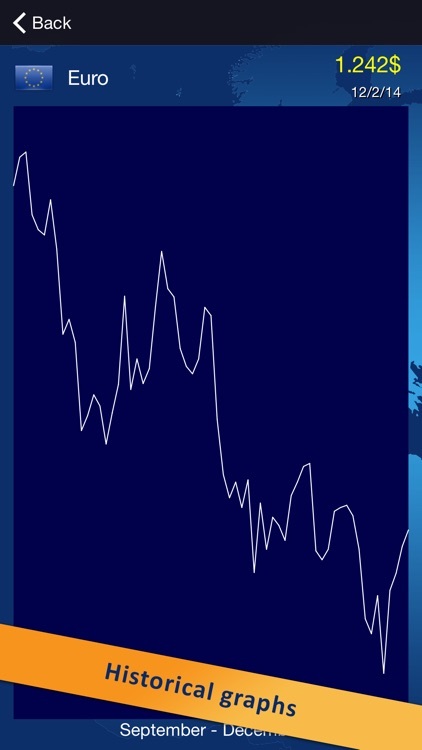 Watch any currency history in an interactive graph. Touch the graph with a single finger to see data in any date from the past three months. All the features mentioned above works even when you are offline!!! 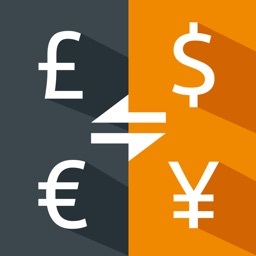 The currency exchange rates, the currency converter calculator, the historical rates and graph. 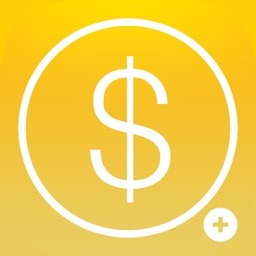 This allows you to travel in the world without internet connection and still handle currency conversion. 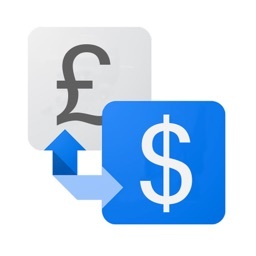 Press and hold a currency from the main list and drag it to the position you like. the order of the currencies will remain even after you close and reopen the app.